After all, everybody hates ads … unless you’re a marketer or have an online business. In which case you need them to make a living. Last year, adblocking grew by 41% globally and there are now over 198 million active users using adblockers all around the world. Wow! It’s an easy to use solution to reason with your audience and try convincing them politely to consider disabling adblocking when going through your site. 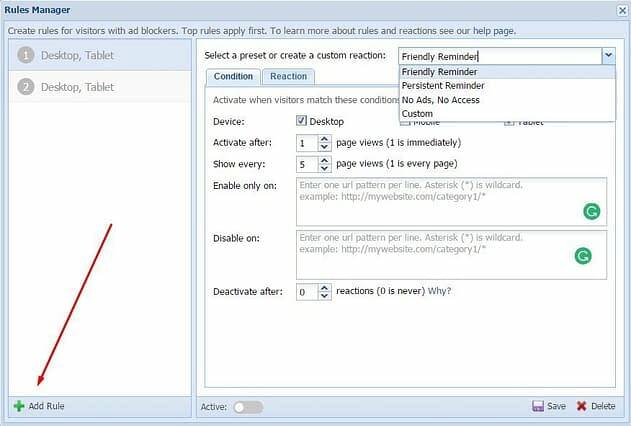 Through its inner “magic,” the plugin detects if the visitor uses any sort of adblocker. If they are, you get the opportunity to display a targeted message to them. You can tweak the popups the way you want by choosing multiple templates, animations, effects, colors, catchy titles etc. If you want to send a popup at a specific time during your clients’ visit, Adblocker Notify lets you do that too (you decide when it’s the right moment for it to show up). Also, you can write custom CSS in order to make the messages more convincing. Powerful visuals always catch visitors’ attention better. 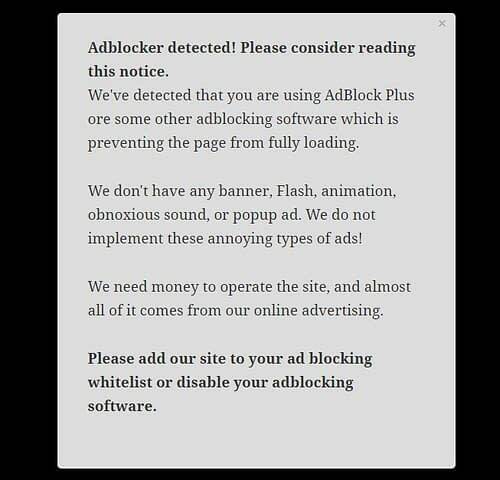 By the way, you don’t have to worry that the plugin itself will be blocked by adblockers. It comes with a couple of mechanisms that prevent that from happening. As an added bonus, you can track Adblocker Notify’s performance through the plugin’s statistics regarding the impact that adblockers are having on your site. In a sentence, this anti adblock WordPress plugin plays the role of Google Analytics, but for adblockers. It brings you a complex dashboard with lots of stats, numbers, and percentages about adblockers’ impact on your site. Unique visitors, visitors with adblockers, page views with an adblocker enabled, how many times the blocker was disabled at your request … those are just a handful of the insights that AdBlock X gives you. The interface is very friendly and it also offers visuals, such as grids and charts. This plugin lets you create custom messages, through which you can ask people to whitelist your site. You can also choose the way you want the messages to be displayed. This anti adblock WordPress plugin has a very original approach toward adblocking. 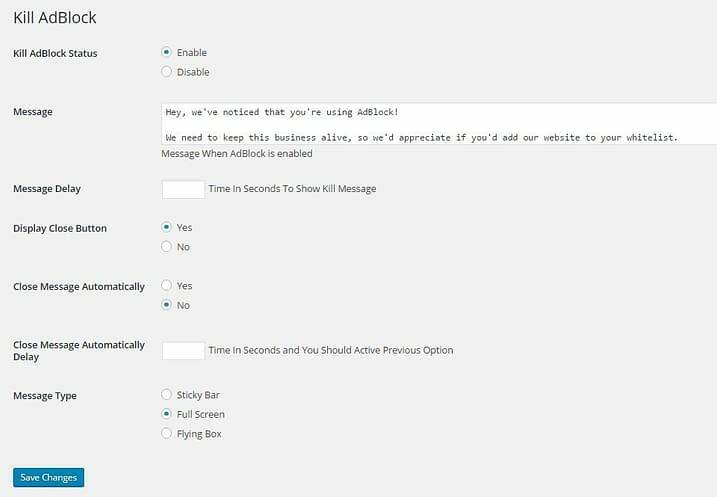 It gives you some shortcodes that you can use to communicate with those of your visitors who use adblockers. For instance, you can show them a custom message instead of the original article. 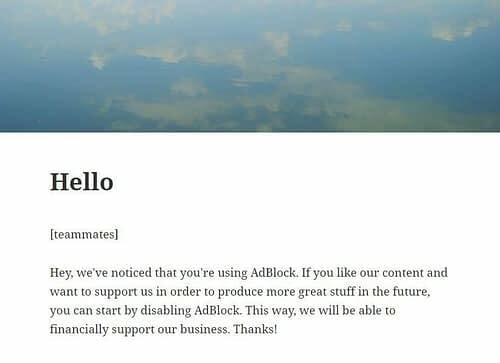 This effectively means that your visitors will be able to see your content only if they disable their adblocking tools. A simple plugin displaying a notification in case the visitor uses an adblocker. This anti adblock WordPress plugin comes with a very basic free version, in which you can only set how often the notification will appear. For some other features, you need to upgrade to premium, which is $5. In it, you can customize the notification message, the title, and also choose the pages where the message should show up. Simple Adblock Notice also comes with an option called “Strict mode,” which hides the entire website until the user disables their adblocker. 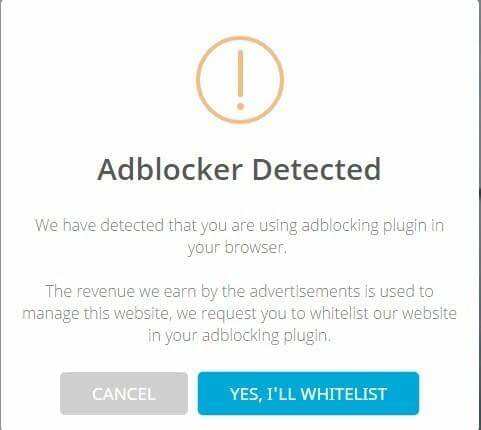 This option makes your WordPress website completely unavailable until adblockers are no longer being detected. 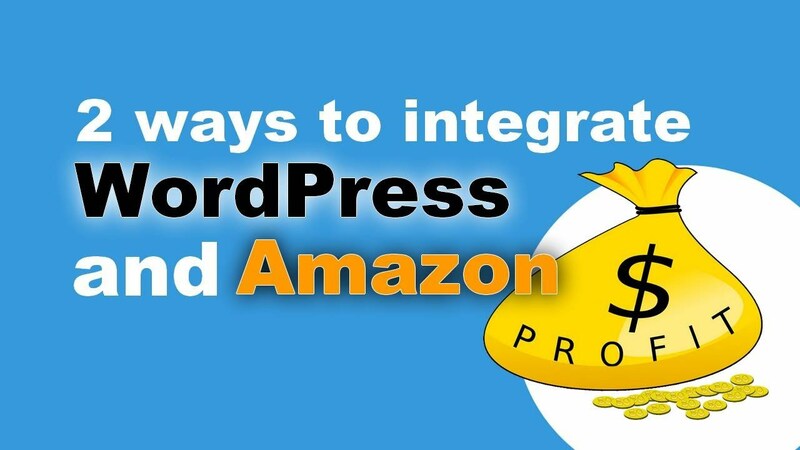 This plugin is very easy to use and to set up. The best quality of Block AdBlock is that it works super quickly. As you can see, you can write your own message and choose from three ways of showing it: Sticky Bar, Full Screen, and Flying Box (pop-up). 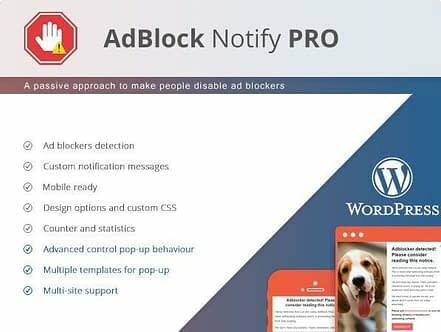 Have you tried any of these anti adblocking WordPress plugins? Or maybe you have some other questions on how to deal with adblockers … let us know.